Packed with fun facts, fascinating information and over 1,000 stickers, this activity book is the perfect introduction to London for curious children. Read the captions in the book and, using the labels beside each sticker, choose the image that best fits in the space available. Don't forget that your stickers can be stuck down and peeled off again! 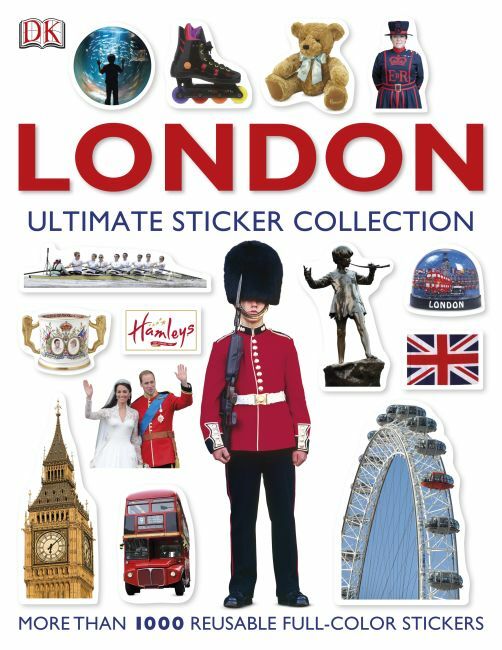 As you hear Big Ben chime, watch the Changing the Guard at Buckingham Palace, and see the Crown Jewels at the Tower of London, this colourful sticker book will make learning about London fun.